TEQUILA.net – Tequila Herradura, one of the oldest and most storied tequila brands since 1870, announced today its partnership with Delta Air Lines to offer the signature Herradura Silver Margarita to passengers traveling on all Delta flights worldwide. The Margarita which took flight on June 15 marks Tequila Herradura’s first appearance on a major U.S. airline’s in-flight cocktail menu. The Herradura Silver Margarita is created with Herradura Silver Tequila – aged for 45 days in American oak barrels for a light hint of vanilla with a warm finish – and premium Stirrings Margarita Mix. Founded by Ambrosio Rosales and Aurelio Lopez, Casa Herradura is one of the oldest and most respected producers of tequila, which many believe, delivers the world's highest quality, most authentic tequila experience because of the expertise and leadership it has developed since 1870. 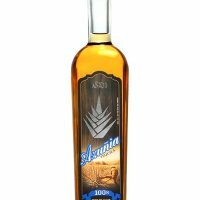 Located and produced in the heart of Mexico’s tequila region, in the tiny town of Amatitan, Jalisco, Tequila Herradura is 100% blue agave tequila carefully crafted using traditional methods, such as cooking the agave in clay ovens and fermenting naturally with wild yeast. This sophisticated process delivers a rich, smooth and unexpected taste that evokes memories of our agave fields. Brown-Forman Corporation is a diversified producer and marketer of fine quality consumer products, including Jack Daniel’s, Southern Comfort, Finlandia Vodka, Tequila Herradura, el Jimador Tequila, Canadian Mist, Fetzer and Bolla wines, and Korbel California Champagnes. Brown-Forman reminds you to drink responsibly. Delta Air Lines operates service to more worldwide destinations than any airline with Delta and Delta Connection flights to 324 destinations in 62 countries. Delta has added more international capacity than any major U.S. airline during the last two years and is the leader across the Atlantic with flights to 43 trans-Atlantic markets. To Latin America and the Caribbean, Delta offers 600 weekly flights to 62 destinations. Delta's marketing alliances also allow customers to earn and redeem SkyMiles on more than 16,000 flights offered by SkyTeam and other partners. Delta is a founding member of SkyTeam, a global airline alliance that provides customers with extensive worldwide destinations, flights and services. Including its SkyTeam and worldwide codeshare partners, Delta offers flights to 474 worldwide destinations in 104 countries. Customers can check in for flights, print boarding passes and check flight status at delta.com.